Support your school by eating delicious burritos at Chipotle! Let someone else do the cooking and the cleaning. 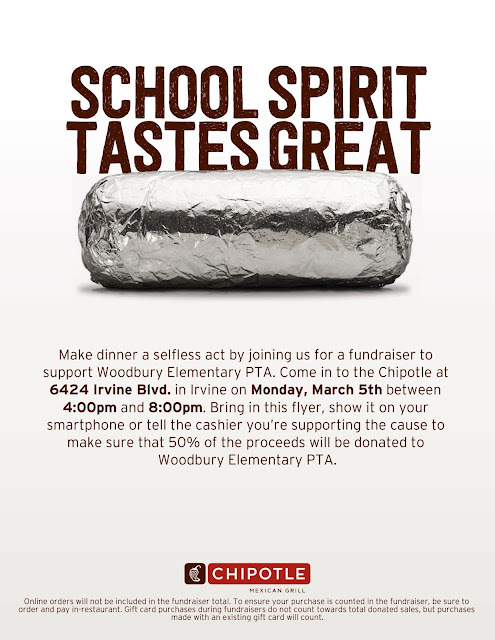 Stop by Chipotlein the Woodbury Town center between 4:00pm and 8:00pm on Monday, March 5th. Show them the flier below on your phone (save a tree!) 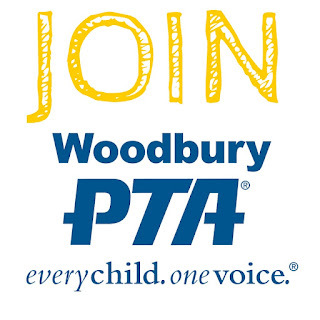 or just tell them that you're there to support Woodbury Elementary. 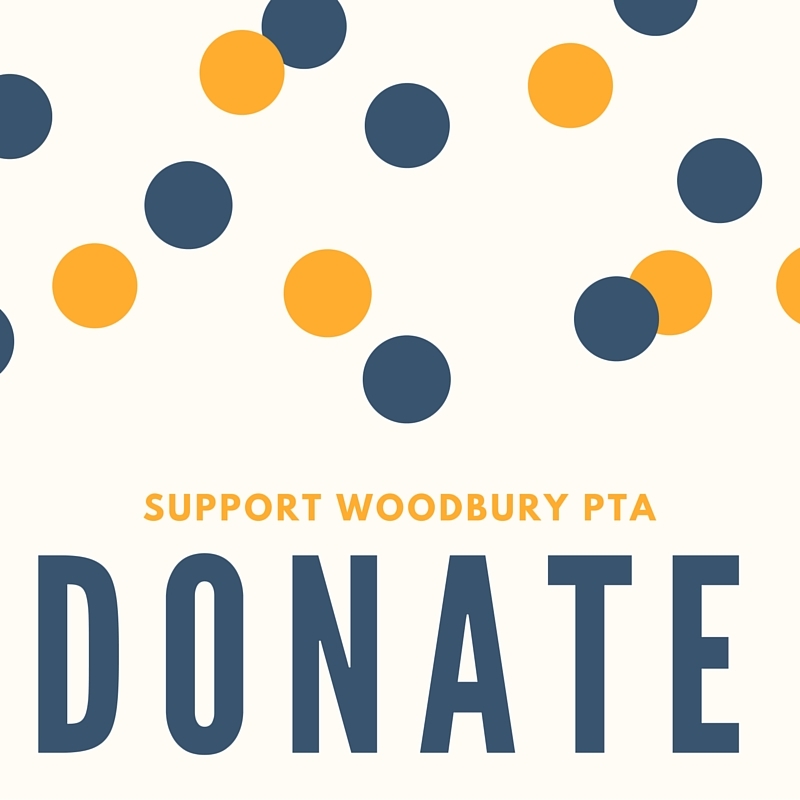 A whopping 50% of the proceeds will be donated to our PTA.